This is a staple dish in Zimbabwe. Sadza is made from corn meal and it is eaten with an accompanying dish. 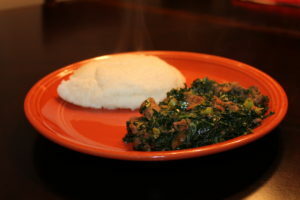 In this case, a hearty beef stew and organic kale organic from my garden are paired with sadza. 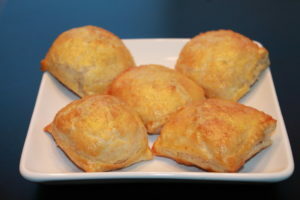 Enjoy flaky and flavorful meat pies with fillings like beef and onion, chicken and onion, and beef and kale. 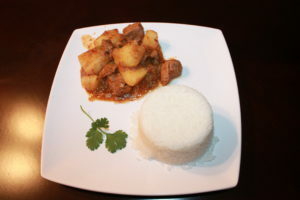 Chef Muzo’s hearty and savory beef stew with potatoes served with steamed rice.